Award-winning chef/owner Gareth Reid, who opened the restaurant back in 2014 with wife Kasia, is at the heart of Armagh’s unique food culture. 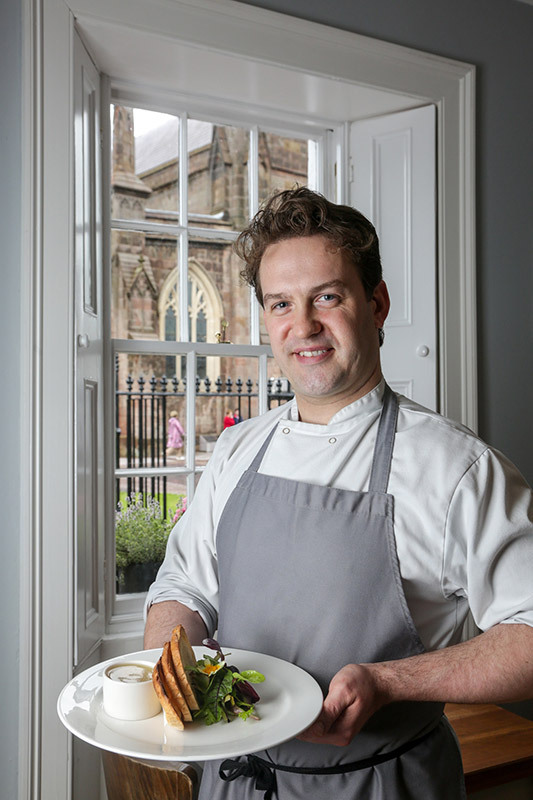 Renowned for his creativity and flair, he is one of many chefs and local producers who are developing Armagh into a gourmet food destination through the Food Heartland. A county Armagh man, Gareth has travelled the globe as a chef, absorbing influences from local cuisines as diverse as France and the Bahamas. His insistence on the finest produce sees him source salads and vegetables from the nearby gardens of Crannagael House, artisan ciders and apple juices from Barnhill Farm and McIvors Cider Company and fish and seafood from Kilkeel. He also serves unique pollan from Lough Neagh and the equally unique wild Lough Neagh trout, dollaghan, both cold smoked locally. 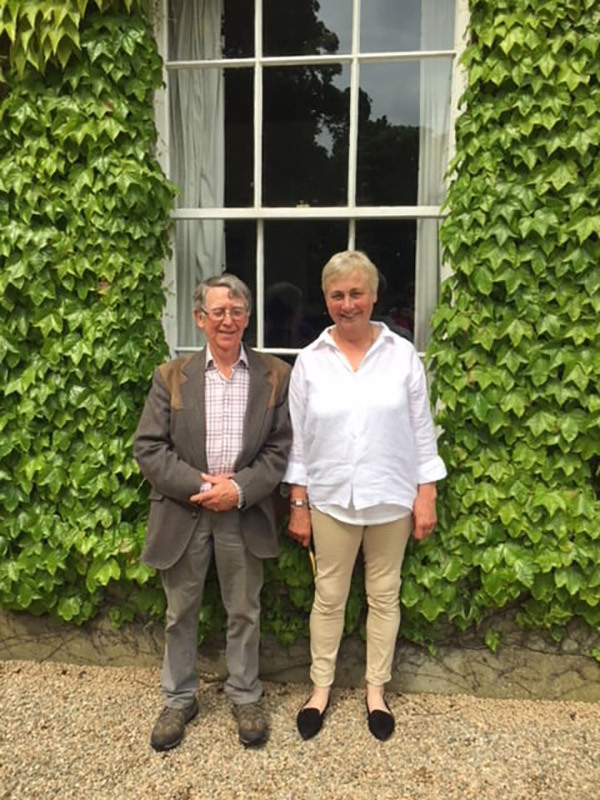 Philip and Helen Troughton are among several acclaimed artisan cider makers in Armagh. Inheriting an extensive range of orchards, some dating back to the 1700s, they now have over 100 acres, 80 acres of which are in production. Nothing but pure apple juice is used in Armagh Cider Company cider, which proudly bears the PGI logo. 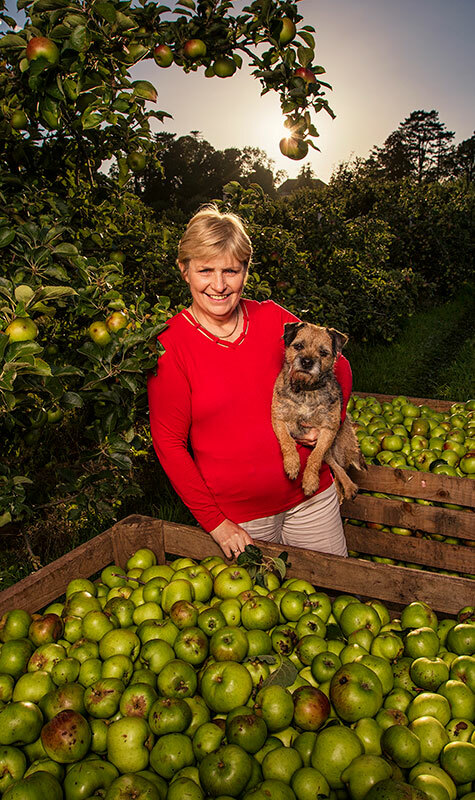 Not only do they produce many different kinds of cider, as well as wonderful apple juices, but each one is a different mix of apples – Helen and Philip grow over 30 varieties. For the Armagh Food and Cider Festival, you can enjoy special tours of their orchards, followed by tasting sessions, where you can follow the whole process of traditional cider making. Helen and Philip will also be launching a new cider during the festival, Orchard Bramble, flavoured with Damson plums and blackberries grown in their grounds! Some of the best ideas are the simplest. What could be more flavoursome, it occurred to Susie Hamilton Stubber, than the finest balsamic vinegar infused with natural fruit juices? 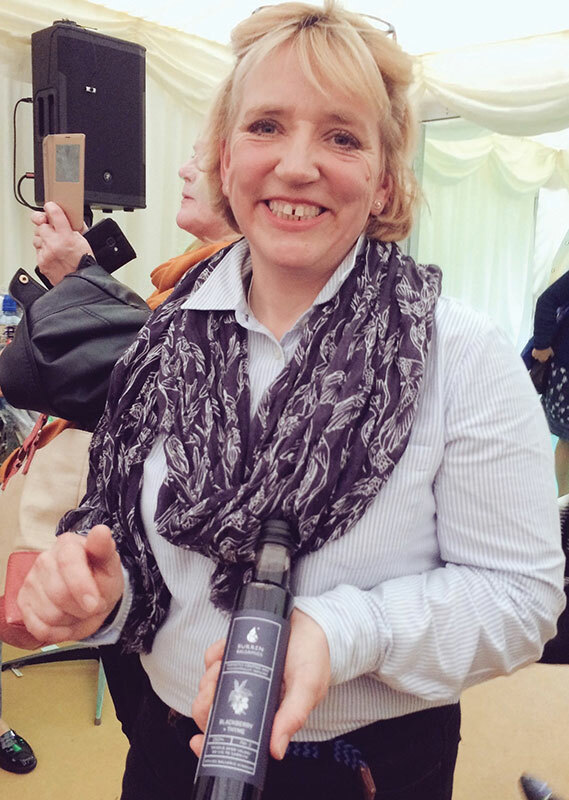 Based at her Richhill home, Susie and a friend experimented with a few flavours and by the winter of 2013 had bottles of blueberry and strawberry infused balsamic vinegar ready to test drive with the public. So positive was the response, Susie went on to found Burren Balsamics in 2014. Today, it is not just lovers of artisan produce who are getting in on the act but some of Northern Ireland’s finest chefs, who use these fruit balsamics in sauces, soups, stews, marinades, dressings, crumbles and even cocktails. Their success is based on sourcing the finest natural ingredients, like the PGI status Armagh Bramley apples from Richhill itself, not to mention the world’s best balsamic, which Susie imports from Modena, Italy. Recently, Susie has been making more products with white balsamic, including flavours such as home grown wild garlic and Irish cherry. You will be able to sample these wonderful balsamics at the Armagh Food and Cider Festival. Wander the apple orchard at John and Jane Nicholson’s delightful home, Crannagael House, three miles from Loughgall and dating from 1760 and you can actually taste the origins of Armagh’s famous apple growing industry. The apple trees you see in the two acre-gardens are the descendants of the first Bramley apple trees to be planted in Armagh, courtesy of John’s ancestor, Charles Nicholson. The Armagh Bramley, which was recently granted coveted PGI status, then spread like wildfire through the area and remains the basis of its famous apple and cider industries. For the Armagh Food and Cider Festival, John and Jane are hosting a wine versus cider evening, a murder mystery evening and a grand banquet on Saturday evening as well as a food foraging session through their grounds, hosted by Gareth Reid of 4 Vicars. “Wandering through the orchards covered in apple blossom in May, listening to the bird song, is very hard to beat. And, as we’re on a hill, we enjoy spectacular views of the Armagh countryside, one of the most beautiful areas in Europe. No wonder it’s an experience we love to share with others,” John says. One of the finest meats on the market, the Dexter cattle kept by Nigel McIlrath at his farm in Dunlarg, just outside Keady, have several advantages. Purely grass fed, with no force feeding of grain, the tender meat is naturally marbled and not over fatty. Furthermore his cattle are not killed until at least 24 months, considerably longer than usual, leading to a more mature, fuller flavour. 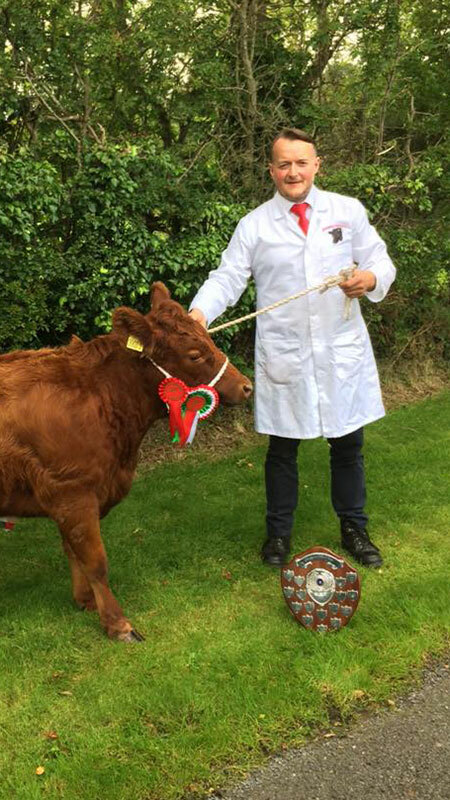 Nigel supplies the cattle to Modern Meats, the award-winning Portadown butchers. On receiving the first carcase, the firm’s Robert Montgomery told Nigel that in thirty years as a butcher he had ‘never felt a texture like that in a product’. restored and re-fitted by her son Rory, offering a unique, moveable space for creative events of all kinds. With a built in sound system, music from the 40s, 50s or 60s might be playing, all kinds of delicious artisan food enjoyed and afternoon teas – delicious finger sandwiches, little scones with cream and crab apple jelly and baby apple pies –served with antique china. 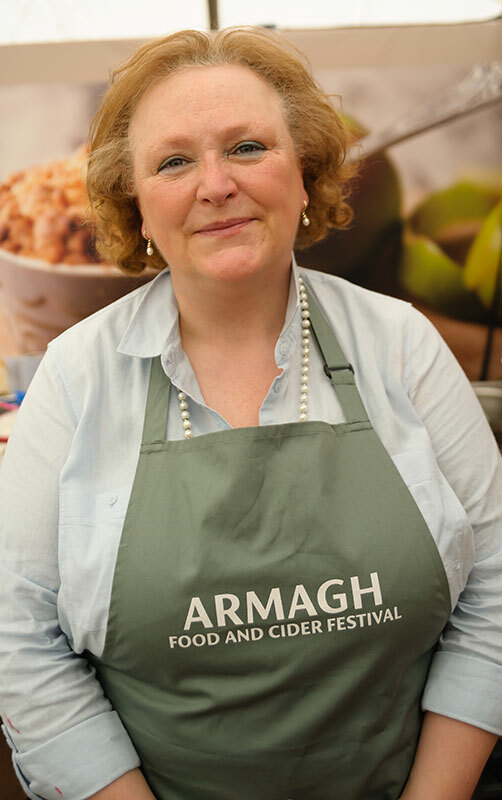 As part of the Armagh Cider and Food Festival, Fiona will be hosting afternoon teas all weekend on the bus, located at Loughall Country Park. Based in a 17th century building, the hugely atmospheric Grouchos is famous for its marvellous fare, created from the finest local produce. Using the best local artisan producers is key to the ethos of head chef Mervyn Steenson, who has made the gastro pub a mecca for foodies since pub owner Peter Lyness chose him to head the kitchen at Grouchos, twelve years ago. A founding member of the Armagh Food Heartland Chefs Forum, Mervyn has gone the extra mile to source locally. After Peter brought back apple butter from the US, Mervyn created his own version, using apples from the Armagh Cider Company. With the consistency of a smooth jam, it is wonderful with bread and smoked fish. It was way back in the 1660s that Jane Harnett’s ancestor William Waring founded Waringstown and kick-started Ulster’s world leading linen industry at the same time. Growing up in the historic mansion he built, Jane and her family are now using the same fields in which William planted linseed for his linen business. Only now they are growing rapeseed and hemp for their multi-award-winning oils. 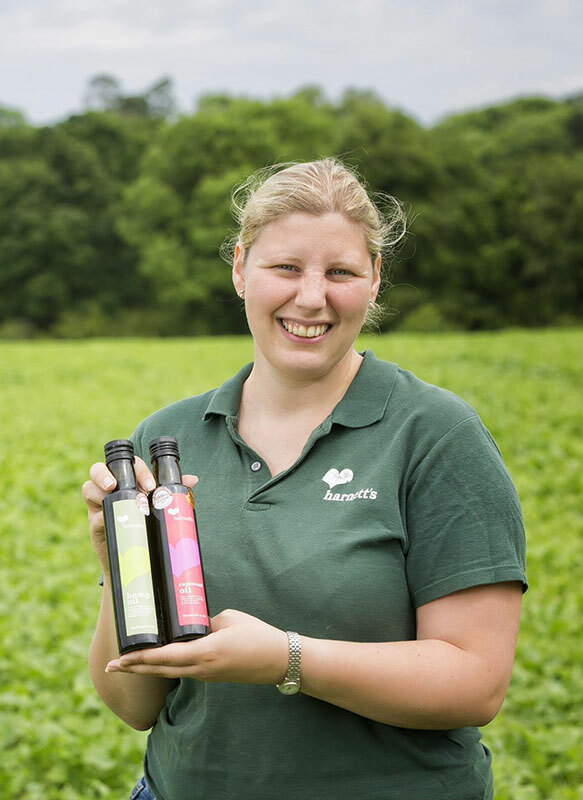 Although only beginning in 2007, Harnetts Oils are now in demand amongst foodies, restaurateurs and leading food shops as far afield as San Francisco and Chicago. Part of the secret of their success is down to the traditional methods they use to harvest and cold press the oils, crucial in producing their wonderful nutty taste. Wrights Interiors, a family business for over forty years, is one of the gems of Armagh. Run by sisters Roberta and Jane, the shop is a Mecca not just for lovers of quality design but also foodies with a passion for Armagh’s wonderful baking tradition. The business is located in a beautifully restored 1840s house on Russell Street, overlooking Armagh’s historic mall. It’s the ideal place to base an interior design business with a library of designer books, fabrics and wallpapers from leading brands, a popular curtain making section and a high quality gift shop. Jane, who loves baking, oversees the food offering. Her regular clientele enjoy lovely home cooked soups, focaccia sandwiches, delicious brownies and Jane’s renowned handmade scones, served with jams and cream. With the elegant surroundings and afternoon tea served in vintage china, it is like stepping back in time. When John Whyte won the respected Janus Award for Hotel Chef of the Year a few years ago, it wasn’t something he took lightly. 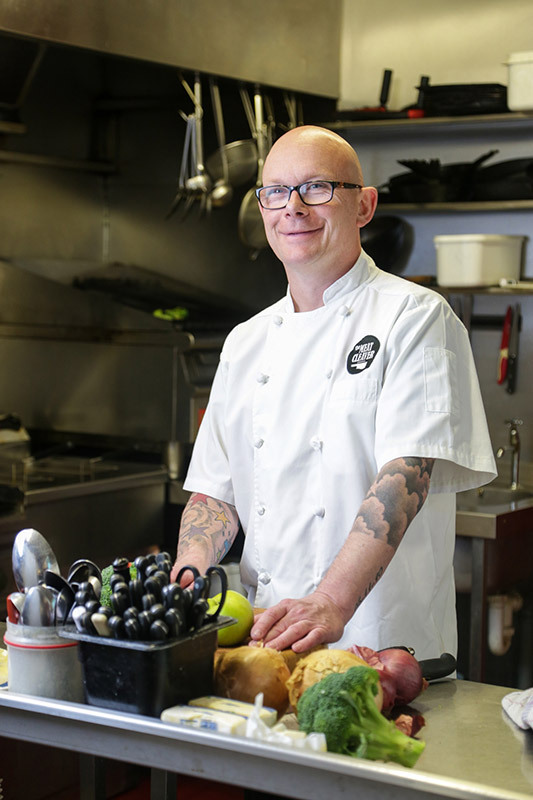 Head chef at the Armagh City Hotel for the last thirteen years, he effectively oversees several businesses in one establishment. 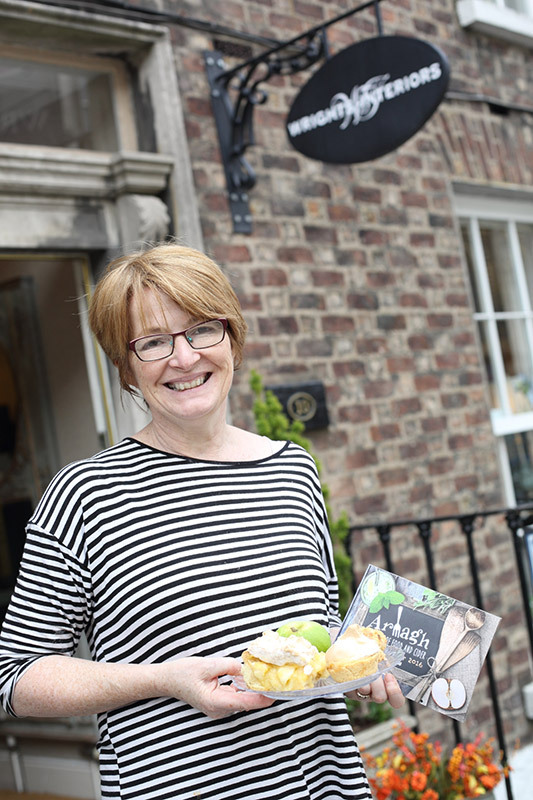 As well as the hotel’s acclaimed fine dining restaurant, the Friary, he runs the intimate Callan Bar, famous for its carvery, a popular deli area, the hotel’s breakfasts and their famous afternoon teas, celebrating Armagh’s baking tradition. And then there are the functions, where the hotel has to provide top class meals for numbers that often run into the hundreds. Whether he’s providing fine dining for twenty or preparing a three-course meal for 500, the quality of the produce has to be the best available. A long-time member of the Armagh Food Heartland, John takes his team of chefs on regular day tours to meet local producers, such as Hewitts of Loughgall, who supply him with beef, and Jane Harnett at Waringstown, whose cold pressed rapeseed and hemp oils he uses in his dressings (along with the balsamic vinegar from Susie at Burren Balsamics). John also uses local suppliers such as Long Meadow Cider and O’Chatten Smokery, who smoke the unique (PGI status) Lough Neagh eels John serves. The recent high profile of Armagh ciders is down to a new generation of cider makers, reclaiming the traditional art – apples grown, pressed and fermented the natural way with no additives, colouring or, indeed, anything but pure apples. 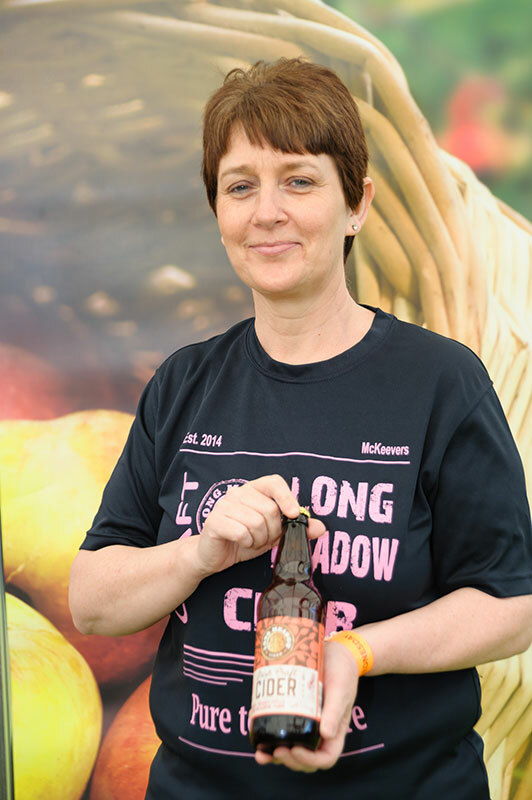 Typical of these pioneers are the McKeever family of Long Meadow Cider, near Portadown. Peter McKeever, who has joined parents Pat and Catherine at the family apple growing business initiated by his grandfather, has helped Long Meadow become an integral part of this cider renaissance. Using a variety of apples from their orchards to enhance the flavour, they pick the apples in September and October, pressing within 48 hours to preserve the flavour. The fermentation, which takes place over the winter months, is completely natural and, apart from a champagne yeast, only apples are used in the whole process. The result? People tasting the multi-award winning cider at shows say it is like biting into an apple, Catherine says. 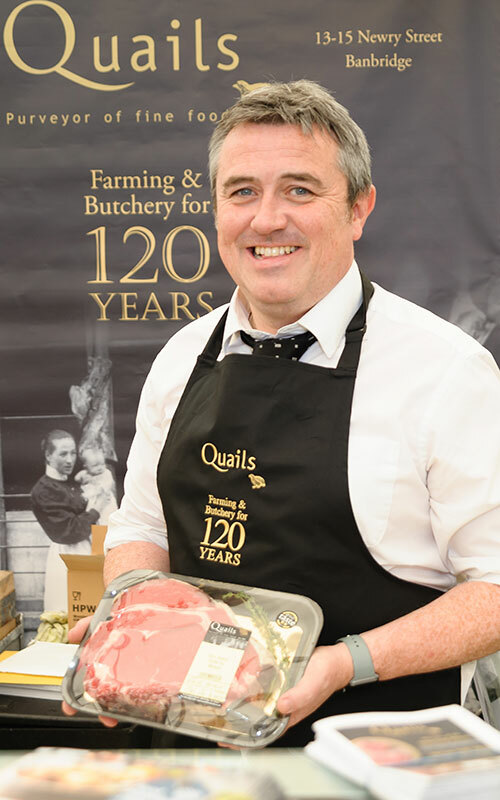 Even in an area renowned for the quality of its meat, Quails of Banbridge have become something of a legend, with their famous deli/food hall in Newry Street and Quails at the Gallery at the FE McWilliam Gallery. Joe Quail (junior) is the fourth generation of the family to work in the firm, which was founded by Matthew Alexander Quail in 1898. Sourcing animals from trusted local farms, as well as their own farm at Tullyear, Quails have won 27 Great Taste awards, including ones for their 28-day aged Himalayan salt aged bone-in rib, salt aged flat iron steak and pork sausages. Want to discover what all the fuss is about? At the Food and Cider Festival, Joe and head chef Fernando will be hosting a Beef Barons Dinner at Quails at the Gallery at the FE McWilliam Gallery. Growing up in the beautiful Armagh countryside, Simon Dougan inherited a passion for the area’s rich food heritage from his two grandmothers, both traditional bakers. One reason his acclaimed Yellow Door deli in Portadown is famous countrywide for its fabulous breads. Wheatens, sodas and barnbrack are all baked the traditional way, while breads from around the world are given a local twist, including a delicious beetroot sourdough. 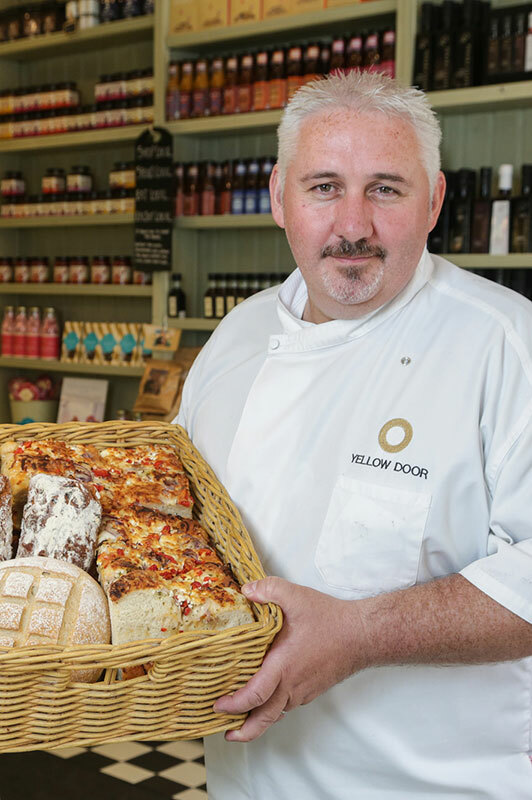 Simon is the first in Northern Ireland to use real potatoes, instead of dry potato flakes, in his potato bread. His apple potato bread, using PGI status Armagh Bramley apples, is also proving a big hit. 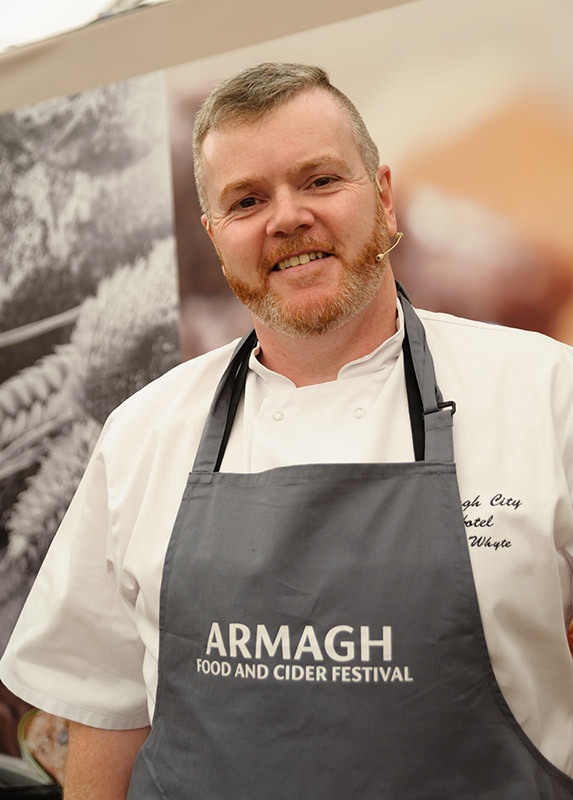 A pioneering champion of local produce and traditional methods, Simon, a founder member of the Armagh Food Heartland, will be working with local cheesemaker Dean Wright of Ballylisk Dairies, at the Armagh Food and Cider Festival. He will also be taking part in a special event with fellow Heartland chefs, baking one of his famous apple based desserts. 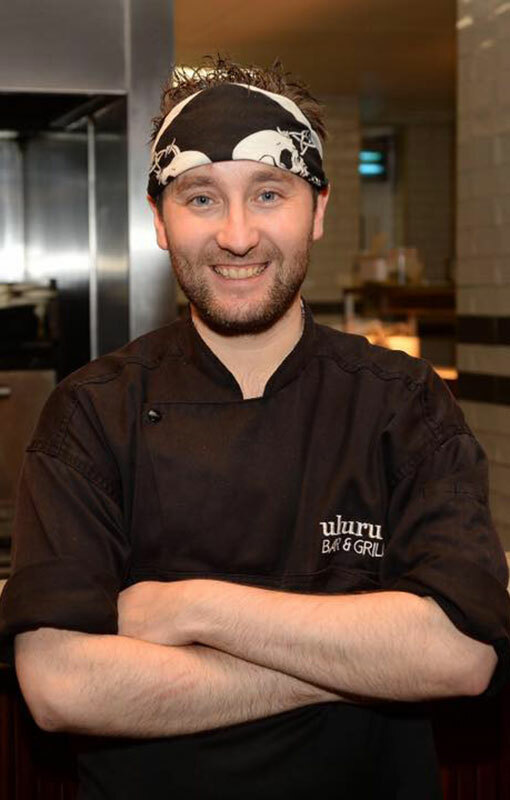 When Aussie Dean (Deano) Coppard opened Uluru thirteen years ago he chose the foodie ethos of his own country as the way to go. The first person Dean hired was a talented local chef, Mark McGonigle, who would become Head Chef. Renowned for his calmness and dedication, as well as his perfectionism, Mark absorbed the Aussie ethos from his mentor. With the reins now handed over to Mark, he now oversees a team of seven chefs and 15 front of house staff, renowned for their service. Little else has changed. A key attraction for meat lovers is Uluru’s Josper Charcoal Grill, a kind of continuously lit barbecue which seals the flavour into their steaks and other meats.